It has long been a tradition for wealthy or academically outstanding students from the U.S. and the U.K. to study abroad for a year while in college. For British students from the mid-1600s through the mid-1800s, the “Grand Tour” of France and Italy was an intellectual coming of age, providing firsthand exposure to the “legacy of classical antiquity and the Renaissance.” Both countries offer excellent universities, world-class cities, unparalleled history, and boundless cultural opportunities. Into this tradition steps contemporary Irish college student Tabitha (Taz) Deacon, who transfers from England’s Nottingham University to a university in the old city of Grifonia, Italy (think Perugia in the Umbria region). Taz has chosen Grifonia instead of one of the larger cities because of its rich Etruscan history, with which she is fascinated. Soon after settling into a cozy rental just off the city center hosted by two local girls, Taz meets her roommate from America. Claire is a free spirit, eccentric and unpredictable, perhaps even unstable, but with a striking beauty and undeniable charisma that win over most people. Taz is something of an introvert, but she longs to be part of something larger than herself, in both her academic and social lives. She wanders around town observing both the Grifonians and her fellow “study abroad” students and is intrigued by a trio of sophisticated rich girls from the U.K., one of whom, Jenny Cole, is a fellow student at Nottingham University. Abroad follows Taz’s experiences as she is admitted into this seductive triumvirate, develops a fragile relationship with Claire, attempts to pass her classes, and seeks out romantic experiences with Italian boys, who are mystifying yet irresistible. She is determined to crawl out of her Irish schoolgirl shell and live passionately while in Grifonia, and Jenny Cole offers her a chance to do just that. The four girls, calling themselves the “B4,” command a great deal of attention and admiration; they sidestep long lines to get into the most popular bars and restaurants and are given good tables once inside. Everyone seems to know them. They are supremely confident, wear designer clothes, and drink as if they have hollow legs. They are everything Taz wants to be, at least while she is independent in Italy. She seeks transformation, and, in a sense, achieves it. 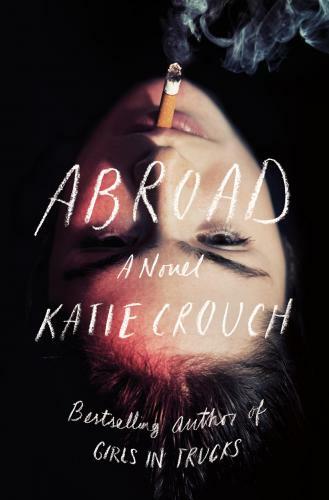 Abroad finds Katie Crouch navigating much darker emotional and psychological territory than in her previous books (Girls in Trucks, Men and Dogs). 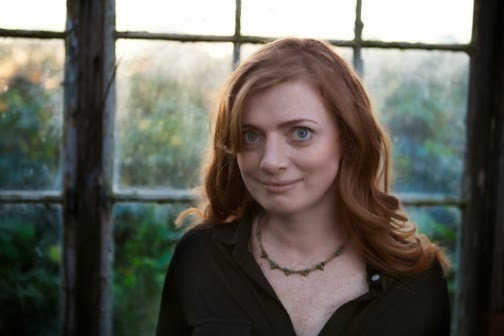 Rather than write about the controversial investigation and prosecution of Knox, using multiple flashbacks (as novelist Jennifer du Bois did in 2013’s Cartwheel), Crouch presents a plausible version of events and motivations for the eventual murder. We get to know Taz intimately, while Claire remains a complex presence viewed through the eyes of Taz, but not a main character. In the Knox-Kercher case, the media’s reporting was so sensationalized that a fair trial was impossible. As Knox and her supporters have long maintained, she was and still is largely misunderstood and mischaracterized by the public. Crouch has done an admirable job of depicting the complicated and unpredictable thoughts, emotions, and actions of a young woman, exacerbated by loneliness, cultural confusion, and a range of conflicting desires. She captures well the timeless essence of growing up far from home and having to rely on instincts and judgment that can easily lead one astray. While Abroad has been promoted as similar to Donna Tartt’s spellbinding 1992 classic The Secret History, it doesn’t quite reach that level of intellectual and emotional power. Admittedly, it is only half the length of Tartt’s book, so who knows what Crouch could have accomplished if she’d decided that was her intent. But Abroad stands on its own merits as a fast and often fascinating exploration of the ways deeply flawed but very human people can make a mess of their lives. I loved Cartwheel and just might give this one a try.